The principal aim of this research is the application of Fe3O4 (MNPs) in the synthesis of some indole derivatives. Fe3O4 MNPs were prepared by Co-Precipitation method from the reaction of FeCl2.4H2O and FeCl3.6H2O in ammonia solution. Morphology and structure of Fe3O4 MNPs were determined by FT-IR, X-Ray diffraction (XRD), transmission electron microscopy (TEM) and scanning electron microscopy (SEM). Fe3O4 (MNPs) has been used as a highly efficient catalyst for the synthesis of some Indole derivatives like 6H-Indole [2,3-b] quinoxaline, 3-methyl–6H-Indole [2,3-b] quinoxaline and (z)-3-(pyridine-2-yl-imino)-Indole-2-one. The reaction was carried out using various amounts of Fe3O4 nanoparticles in various solvents and solvent-free conditions. The optimum amount of nano-Fe3O4 was 5 mol% in THF under reflux conditions. The structures of indole derivatives were further established by NMR, and FT-IR spectra. In view of excellent catalytic capacity, the exceedingly simple workup procedure, environmentally friendly reaction and good yield, Fe3O4 (MNPs) was proved to be the good catalyst for this reaction. Fe3O4 Magnetite Nanoparticles (MNPs) have attracted a great deal of attention over the past decade due to their pharmaceutical activities, properties and applications in ferrofluids, magnetic media, biomedicine, and catalytic activities [1-4]. They have been used as an excellent heterogeneous catalyst for the synthesis of organic compounds [5-7], because of their large surface area, simple handling, recoverable from the reaction mixture using an external magnetic field, oxidative stability, and high catalytic activities [8-10]. Fe3O4 MNPs have been prepared using various methods, including thermal decomposition [11–12], co-precipitation [13, 14], hydrothermal synthesis, microemulsion, and ultrasound irradiation . The most commonly used methods are thermal decomposition  and co-precipitation [17, 18]. In co-precipitation method, Fe3O4 MNPs have been synthesized using Fe2+ and Fe3+ ions in alkaline solutions, under an inert (N2 or Ar) atmosphere. Indole derivatives, a nonpolar purine analog  are well known because of their chemical properties and pharmaceutical activities such as, antifungal [20, 21], anticancer [22, 23], anti-inflammatory [24, 25], antibacterial , and antimicrobial activities . They are present in some important heterocyclic compounds and biochemical molecules such as dacinostat, tryptophan, semaxanib, serotonin, ziprasidone, and melatonin [28, 29]. Isatin (1H-indole-2, 3-dione) has also been known for several years as an intermediate for the synthesis of a large variety of heterocyclic compounds [30, 31]. The substitution at the 3 and 2 positions of the isatin ring can take place by connecting an additional heterocyclic ring [32, 33]. Due to the descriptions presented above, in this project, we have tried to use Fe3O4 MNPs as a heterogeneous catalyst for the synthesis of some indole derivatives in good yields and under mild reaction conditions. All solvents were purified and dried using established procedures. TLC silica gel 60, and aluminum sheets were purchased from Merck. The NMR spectra were recorded on Bruker XL 500 (500 MHz) instruments, FT-IR measurements were recorded on a Shimadzu 8400s spectrometer with KBr plates. Melting points were determined on an Electrothermal 9100 without further corrections. The sizes of MNPs were evaluated using a transmission electron microscope (TEM, 150 kV, and Philips-CM 10). The MNPs were prepared according to a previously reported procedure . Typically, FeCl3·٦H2O (0.02 mol) and FeCl2·٤H2O (0.01 mol) were dissolved in distilled water (100 ml) in a three-necked round-bottom flask (250 ml). The resulting transparent solution was heated at 90 °C with rapid mechanical stirring under N2 atmosphere for 1h. A solution of concentrated aqueous ammonia (10 ml, 25 wt %) was then added to the solution in a dropwise manner over a 30 min period using a dropping funnel. The reaction mixture was then cooled to room temperature and the resulting magnetic particles collected with an external magnet and rinsed thoroughly with distilled water. Isatin (1mmol) was reacted with an amine (1mmol) in the presence of Fe3O4 magnetic nanoparticles (5 mol%) in THF (5 ml) under reflux condition. The progress of the reaction was monitored by TLC using n-hexane: ethyl acetate (4:1) and detected by UV lamp (254 & 366 nm). At the end of the reaction, the catalyst was recovered by an external magnet, washed with EtOH, dried at 60°C for 1h and reused four times for the same reaction. The residue of the reaction mixture was evaporated, and the crude product was puriﬁed by short-column chromatography on silica gel (n-hexane: EtOAc / 4:1). The products were identiﬁed by comparison of their 1H-NMR, FT-IR spectra and physical data with those of authentic samples. Yellow powder, Yield 85 %, m.p> 300 °C. FT-IR(KBr,νmax cm-1): 3433(N-H), 3022(C-H), 1562(C=N), 1525(C=C), 1216(C-N), 774 (C-N), 1H-NMR(400MHz, DMSO-d6): δH(ppm) 8.65 (br, 1H, NH), 8.51 (d, J= 8, 1H, ArH), 8.35 (d.d, J= 7.2, J=1.2, 1H, ArH), 8.12 (d.d, J= 8.4, J=0.8, 1H, ArH), 7.76-7.84 (m, 1H, ArH), 7.73-7.76 (m, 1H, ArH), 7.68-7.72 (m, 1H, ArH), 7.55 (d, J= 8.4 , 1H, ArH), 7.39-7.43 (m, 1H, ArH). Yellow powder, Yield 80 %, m.p> 300 °C. 1H-NMR(400MHz, DMSO-d6): δ H(ppm) 8.65 (br. 2H, NH), 8.47 (d.d, J= 8.4, J=1.2, 2H, ArH), 8.22 (d, J= 8.4, 2H, ArH), 8.11 (s, 1H, ArH), 8.10 (d, J= 8.4, 2H, ArH), 7.88 (s, 1H, ArH), 7.62-7.69 (m, 3H, ArH), 7.55-7.58 (m, 3H, ArH), 7.39-7.44 (m, 2H, ArH), 2.66 (s, 3H, -CH3), 2.66 (s, 3H, -CH3). The FT-IR spectra of prepared Fe3O4 nanoparticles are shown in Fig. 1. These spectra show that the data are the same as reported in the literature [35, 36]. A strong peak at around 592 cm-1 can be attributed to the Fe-O-Fe stretching vibration. The broad band at around 3400 cm–1 is due to the adsorbed water and OH groups. XRD patterns of Fe3O4 MNPs are shown in Fig. 2. XRD measurement was used to characterize the crystalline structure and average size of nanoparticles. As shown in Fig. 2, XRD pattern of Fe3O4 MNPs shows nine high intense peaks in the whole spectrum of 2θ values ranging from 20˚ to 80˚. They are consistent with the standard pattern for JCPDS Card No. (79 - 0417)  confirming that Fe3O4 nanoparticles have been formed. The broad X-ray diffraction peaks around their bases indicate that the Fe3O4 magnetic particles are in nano sizes. The average diameter which can be evaluated from Debye–Scherrer equation [38, 39] (D=Kλ/βcosθ, where K is constant, λ is X-ray wavelength and β is the peak width at half maximum) was obtained about 13 nm. TEM (Fig. 3) investigation shows the average diameter of 10-60 nm for the Fe3O4 MNPs. SEM image (Fig. 4) shows spherical shape of particles. The model reaction of isatin and o-phenylenediamine was carried out using various amounts of Fe3O4 nanoparticles in various solvents and solvent-free conditions. The optimum amount of nano-Fe3O4 was 5 mol% as shown in Table 1. Increasing the amount of catalyst does not improve the yield of the product any further, whereas decreasing the amount of catalyst leads to decrease in the product (Table 1). It was found that in the absence of Fe3O4 magnetic nanoparticles, the yield of the product on TLC plate is not good even after 2 h of the reaction (Table 1, Entry 16). The best results were obtained with 5 mol% of Fe3O4magnetic nanoparticles in THF under reflux conditions (Table 1, Entry 4). To evaluate the scope and limitations of this methodology, we extended our studies to include a variety of structurally different amines with isatin. The results are summarized in Table 2 (Table 2, entries 1–6). The reactions proceeded almost smoothly within 1-2 h, to provide the corresponding indole derivatives in good yields. A plausible mechanism for the reaction is envisaged in (Scheme 1). Carbonyl group is first activated by MNPs (Fe3+), and then the amine nitrogen attacks to positive center to afford imine intermediate . The catalyst was simply recovered by external magnetic field, washed with ethanol, and dried at 60 °C for 1 h. The recovered catalyst was then added to a fresh reaction mixture under the same conditions and reused 4 times without significant loss of activity (Table 3). Further recycling of the nanocatalyst led to a gradual loss of the catalyst during the recovering and washing stages. A comparison of the efficacy of Fe3O4 MNPs catalyst with other catalysts reported in the literature is presented in Table 4. In addition, to achieve the general advantages attributed to the inherent magnetic property of nanocatalysts, Fe3O4 MNPs exhibited exceptionally high catalytic activity compared to the other catalysts, to yield the desired products in shorter reaction times and under milder reaction conditions. In summery, indole derivatives were synthesized with the reaction of isatin and amines using Fe3O4 MNPs as an inexpensive and reusable catalyst in THF. The reactions were carried out in short reaction time and smooth reaction conditions and the corresponding products were obtained in good to excellent yields. Separation of the catalyst and products after proceeding was much easier than that in usual methods. It represents a straightforward protocol for the eco-friendly and efficient synthesis of indole derivatives. 1. Corchero JL, Villaverde A. Biomedical applications of distally controlled magnetic nanoparticles. Trends in Biotechnology. 2009;27(8):468-76. 2. Rahimi M, Wadajkar A, Subramanian K, Yousef M, Cui W, Hsieh J-T, et al. In vitro evaluation of novel polymer-coated magnetic nanoparticles for controlled drug delivery. Nanomedicine: Nanotechnology, Biology and Medicine. 2010;6(5):672-80. 3. Singh S, Barick KC, Bahadur D. Inactivation of bacterial pathogens under magnetic hyperthermia using Fe3O4–ZnO nanocomposite. Powder Technology. 2015;269:513-9. 4. Sadat ME, Patel R, Sookoor J, Bud’ko SL, Ewing RC, Zhang J, et al. Effect of spatial confinement on magnetic hyperthermia via dipolar interactions in Fe3O4 nanoparticles for biomedical applications. Materials Science and Engineering: C. 2014;42:52-63. 5. Yoon T-J, Lee W, Oh Y-S, Lee J-K. Magnetic nanoparticles as a catalyst vehicle for simple and easy recycling. 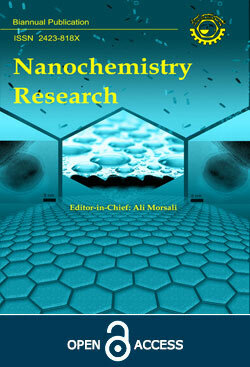 New Journal of Chemistry. 2003; 27(2): 227-9. 6. Cole-Hamilton DJ. Homogeneous Catalysis--New Approaches to Catalyst Separation, Recovery, and Recycling. Science. 2003;299(5613):1702-6. 7. Shylesh S, Schünemann V, Thiel WR. Magnetically Separable Nanocatalysts: Bridges between Homogeneous and Heterogeneous Catalysis. Angewandte Chemie International Edition. 2010;49(20):3428-59. 8. Zeng T, Chen W-W, Cirtiu CM, Moores A, Song G, Li C-J. Fe3O4 nanoparticles: a robust and magnetically recoverable catalyst for three-component coupling of aldehyde, alkyne and amine. Green Chemistry. 2010;12(4):570. 9. Müller RH, Maaβen S, Weyhers H, Specht F, Lucks JS. Cytotoxicity of magnetite-loaded polylactide, polylactide/glycolide particles and solid lipid nanoparticles. International Journal of Pharmaceutics. 1996; 138(1): 85-94. 10. Zhang Z-H, Lü H-Y, Yang S-H, Gao J-W. Synthesis of 2,3-Dihydroquinazolin-4(1H)-ones by Three-Component Coupling of Isatoic Anhydride, Amines, and Aldehydes Catalyzed by Magnetic Fe3O4Nanoparticles in Water. Journal of Combinatorial Chemistry. 2010;12(5):643-6. 11. Park J, An K, Hwang Y, Park J-G, Noh H-J, Kim J-Y, et al. Ultra-large-scale syntheses of monodisperse nanocrystals. Nature Materials. 2004;3(12):891-5. 12. Bee A, Massart R, Neveu S. Synthesis of very fine maghemite particles. Journal of Magnetism and Magnetic Materials. 1995;149(1-2):6-9. 13. Jolivet J-P, Chaneac C, Tronc E. Iron Oxide Chemistry. From Molecular Clusters to Extended Solid Networks. ChemInform. 2004;35(18). 14. Mascolo M, Pei Y, Ring T. Room Temperature Co-Precipitation Synthesis of Magnetite Nanoparticles in a Large pH Window with Different Bases. Materials. 2013;6(12):5549-67. 15. Teo BM, Chen F, Hatton TA, Grieser F, Ashokkumar M. Novel One-Pot Synthesis of Magnetite Latex Nanoparticles by Ultrasound Irradiation. Langmuir. 2009;25(5):2593-5. 16. Peng S, Wang C, Xie J, Sun S. Synthesis and Stabilization of Monodisperse Fe Nanoparticles. Journal of the American Chemical Society. 2006;128(33):10676-7. 17. Kiasat AR, Davarpanah J. Fe3O4@silica sulfuric acid nanoparticles: An efficient reusable nanomagnetic catalyst as potent solid acid for one-pot solvent-free synthesis of indazolo[2,1-b]phthalazine-triones and pyrazolo[1,2-b]phthalazine-diones. Journal of Molecular Catalysis A: Chemical. 2013;373:46-54. 18. Valenzuela R, Fuentes MC, Parra C, Baeza J, Duran N, Sharma SK, et al. Influence of stirring velocity on the synthesis of magnetite nanoparticles (Fe3O4) by the co-precipitation method. Journal of Alloys and Compounds. 2009;488(1):227-31. 19. Yakovleva L, Lai J, Kool ET, Shuman S. Nonpolar Nucleobase Analogs Illuminate Requirements for Site-specific DNA Cleavage by Vaccinia Topoisomerase. Journal of Biological Chemistry. 2006;281(47):35914-21. 20. Xu H, Fan L-l. Antifungal agents. Part 4: Synthesis and antifungal activities of novel indole[1,2-c]-1,2,4-benzotriazine derivatives against phytopathogenic fungi in vitro. European Journal of Medicinal Chemistry. 2011; 46(1): 364-9. 21. Aman M, Rai V R. Antifungal activity of novel indole derivative from endophytic bacteria Pantoea ananatis 4G-9 against Mycosphaerella musicola. Biocontrol Science and Technology. 2016;26(4):476-91. 22. K. Rathi A, Syed R, Singh V, Shin H-S, V. Patel R. Kinase Inhibitor Indole Derivatives as Anticancer Agents: A Patent Review. Recent Patents on Anti-Cancer Drug Discovery. 2017;12(1):55-72. 23. Zhuang S-H, Lin Y-C, Chou L-C, Hsu M-H, Lin H-Y, Huang C-H, et al. Synthesis and anticancer activity of 2,4-disubstituted furo[3,2-b]indole derivatives. European Journal of Medicinal Chemistry. 2013;66:466-79. 24. Verma M, Tripathi M, Saxena AK, Shanker K. Antiinflammatory activity of novel indole derivatives. European Journal of Medicinal Chemistry. 1994;29(12):941-6. 25. Vo QV, Trenerry C, Rochfort S, Wadeson J, Leyton C, Hughes AB. Synthesis and anti-inflammatory activity of indole glucosinolates. Bioorganic & Medicinal Chemistry. 2014;22(2):856-64. 26. Tanaka JCA, Silva CCd, Oliveira AJBd, Nakamura CV, Dias Filho BP. Antibacterial activity of indole alkaloids from Aspidosperma ramiflorum. Brazilian Journal of Medical and Biological Research. 2006;39(3):387-91. 27. Quazi I, Sastry VG, Ansari JA. Synthesis and Antimicrobial Activity of Indole Derivative Bearing the Pyrazole Moiety. International Journal of Pharmaceutical Sciences and Research. 2017; 8(3):1145. 28. Urban FJ, Breitenbach R, Gonyaw D. A Novel Synthesis of the Antipsychotic Agent Ziprasidone. Synthetic Communications. 1996;26(8):1629-38. 29. Wu Y-J. New Indole-Containing Medicinal Compounds. In: Gribble GW, editor. Heterocyclic Scaffolds II: Reactions and Applications of Indoles. Berlin, Heidelberg: Springer Berlin Heidelberg; 2010. p. 1-29. 30. Silva JFMd, Garden SJ, Pinto AC. The chemistry of isatins: a review from 1975 to 1999. Journal of the Brazilian Chemical Society. 2001;12(3):273-324. 31. Jarrahpour A, Khalili D, De Clercq E, Salmi C, Brunel J. Synthesis, Antibacterial, Antifungal and Antiviral Activity Evaluation of Some New bis-Schiff Bases of Isatin and Their Derivatives. Molecules. 2007;12(8):1720-30. 32. Takahashi S, Matsunaga T, Hasegawa C, Saito H, Fujita D, Kiuchi F, et al. Martefragin A, a Novel Indole Alkaloid Isolated from Red Alga, Inhibits Lipid Peroxidation. CHEMICAL & PHARMACEUTICAL BULLETIN. 1998;46(10):1527-9. 33. Bekircan O, Bektas H. Synthesis of Schiff and Mannich Bases of Isatin Derivatives with 4-Amino-4,5-Dihydro-1H-1,2,4-Triazole-5-Ones. Molecules. 2008;13(9):2126-35. 34. Vereda F, de Vicente J, Hidalgo-Álvarez R. Influence of a Magnetic Field on the Formation of Magnetite Particles via Two Precipitation Methods. Langmuir. 2007;23(7):3581-9. 35. Nami N, Zareyee D, Ghasemi M, Asgharzadeh A, Forouzani M, Mirzad S, et al. An efficient method for synthesis of some heterocyclic compounds containing 3-iminoisatin and 1,2,4-triazole using Fe3O4 magnetic nanoparticles. Journal of Sulfur Chemistry. 2017;38(3):279-90. 36. Sreedhar B, Kumar AS, Reddy PS. Magnetically separable Fe3O4 nanoparticles: an efficient catalyst for the synthesis of propargylamines. Tetrahedron Letters. 2010;51(14):1891-5. 37. El Ghandoor H, Zidan H, Khalil MM, Ismail M. Synthesis and some physical properties of magnetite (Fe3O4) nanoparticles. Int J Electrochem Sci. 2012; 7(6): 5734-45. 38. Warren BE. X-ray Diffraction: Courier Corporation; 1990. 39. Hong RY, Pan TT, Li HZ. Microwave synthesis of magnetic Fe3O4 nanoparticles used as a precursor of nanocomposites and ferrofluids. Journal of Magnetism and Magnetic Materials. 2006;303(1):60-8. 40. Chaubey A, Pandeya S. Synthesis & anticonvulsant activity (Chemo Shock) of Schiff and Mannich bases of Isatin derivatives with 2-Amino pyridine (mechanism of action). International Journal of PharmTech Research. 2012; 4(4): 590-8. 41. King H, Wright J. 466. 2-amino-1 : 3 : 4-indotriazine. The reaction between isatin and aminoguanidine. Journal of the Chemical Society (Resumed). 1948:2314. 42. Samar A El-Kalyoubi EAF. Synthesis and Evaluation of Antitumor Activities of Novel Fused Uracil Derivatives. Research & Reviews: J Chemistry. 5(1): 19-26. 43. Abdu-Allah HH, Abdel-Moty SG, Heta HF. Synthesis of hexahydro-6H-indolo[2,3- b]quinoxaline derivatives as potential antibacterial and anti-inflammatory agents. Der Pharma Chemica. 2016; 8(4): 192-201.